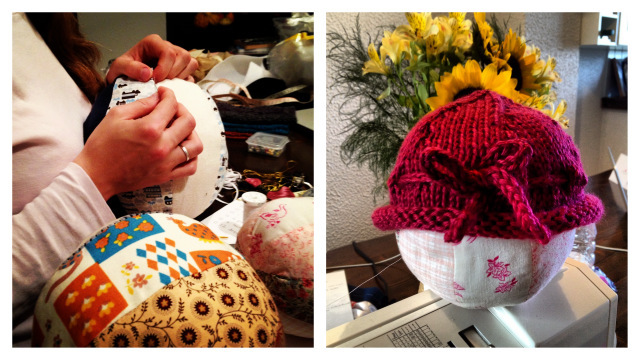 Making Room: Our Life in Sicily: craft fair preview! Saturday will soon be here, the day of my first craft show ever! I've been working in every spare moment to prepare sweet knitted and sewn items for sale, and I'm imagining how to arrange everything on my table when the day comes. No matter what sells, though, the point is... I am going to actually sell at a craft fair! or can be hot/cold packs for adults. For the pouches, the child tucks their tooth in the tooth-shaped pocket on the front and then Mom tucks the money inside the pouch! 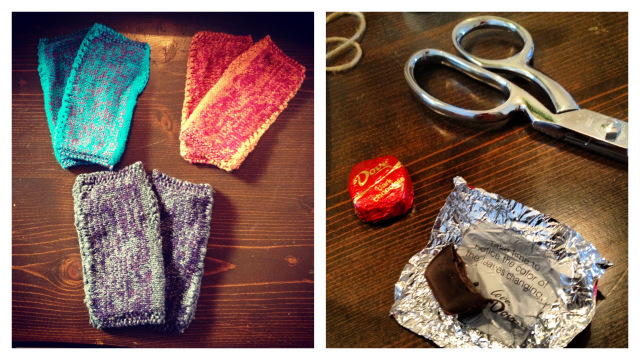 & every crafter deserves a chocolate break! 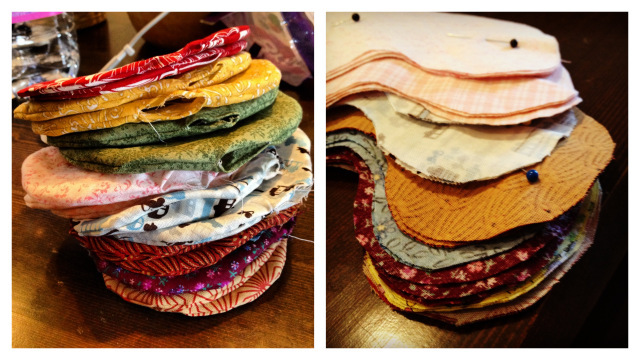 For those of you out there who have sold at a craft fair before, do you have any advice for me? Wish I could come to the craft show! Those baby booties are so cute. I just love the booties! So cute! Those are fantastic! How exciting for you! 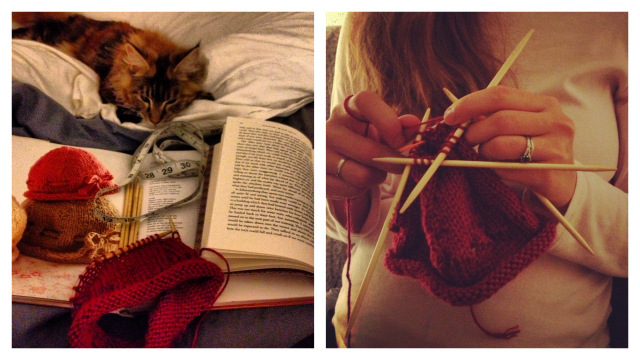 How on earth can you knit and read at the same time??!... you are a pro! I just love those jelly bean bags. So cute! I'd definitely use them as a hot pack. So many cute things! I wish you the best of luck! So lovely!! Good luck at the craft fair! Are you still selling through Etsy? 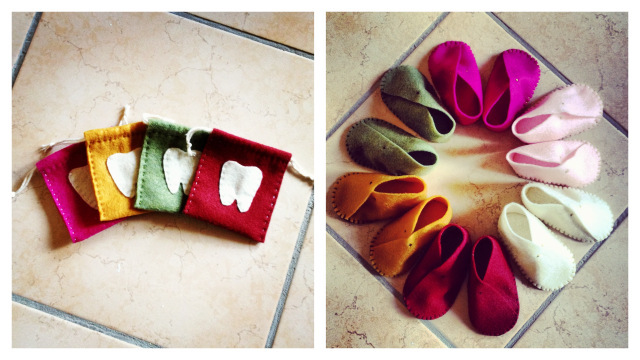 If you are, I'd love to scoop up some booties for my nephew due in March...but realize you may not want to mess with shipping from Italy! You deserve some kind of huge medal for working SO HARD at such a range of things--and all so pretty and colorful. I hope you sell the lot! But you are a star no matter what you sell on Saturday. Love you! Hooray! These are wonderful! I'm so proud of you, friend! So are craft fairs common in Italy? I'll take at least one of each! Those felt baby shoes are too cute. I hope all goes well!